Sam Burgess (L), Nathan Brown (2L) and Cameron Smith (R) are due back, but Dylan Walker (2R) will miss out due to a fractured eye socket. 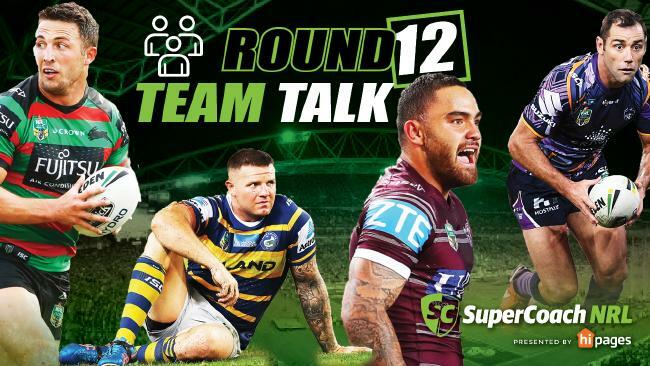 PARRAMATTA coach Brad Arthur has shaken up his side in a bid to save their season. He has swapped fullback Clint Gutherson with five-eighth Corey Norman for Thursday's clash with Brisbane. A season-ending knee injury to Beau Scott sees Manu Ma'u move to the backrow. Broncos mail: Jordan Kahu makes his return from a broken jaw at centre in place of Tom Opacic. Josh McGuire is a chance of playing after being included in the reserves. Corey Norman has been moved to fullback. 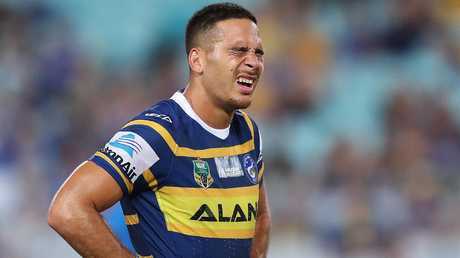 Eels mail: Beau Scott (ACL) is out for the season with Manu Ma'u returning to the backrow. Corey Norman has moved to fullback with Clint Gutherson into the halves. Raiders mail: Joseph Tapine has a two game ban to serve with Josh Papalii moving to the second row and Sia Soliola to lock. Sea Eagles mail: Api Koroisau will miss this game after he was hit with a grade-one striking charge. The suspension opened the door for Lewis Brown to start in the No.9. Winger Jorge Taufua returns from a broken collarbone. Dylan Walker will miss six weeks with a fractured eye socket but Trent Hodkinson will take his place in the line-up and start at five-eighth. 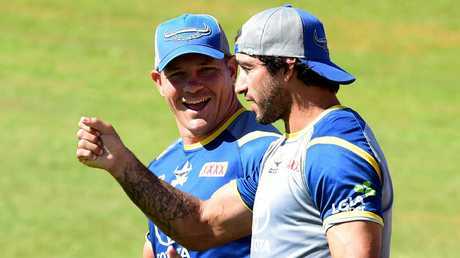 Matt Scott and Johnathan Thurston at training. Cowboys mail: Matt Scott (knee) has been named in an unchanged side. Storm mail: Curtis Scott has been charged with striking last week and replaced by Young Tonumaipea. Cameron Smith (suspension) returns which pushes Brandon Smith out of the starting side and Harry Grant out of the team. Jesse Bromwich (knee) and Sam Kasiano (suspension) also return. Titans mail: Kevin Proctor (groin) is a chance of playing this week. Roger Tuivasa-Sheck returns for the Warriors. 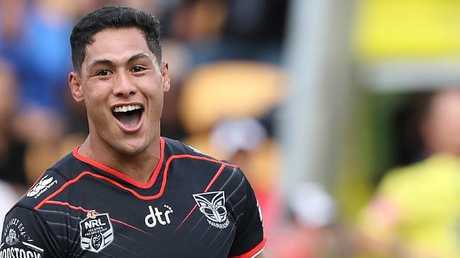 Warriors mail: Roger Tuivasa-Sheck returns after sitting out last week due to the birth of his child. Rabbitohs mail: Sam Burgess (glute) has been named but Alex Johnston (hamstring) is out. 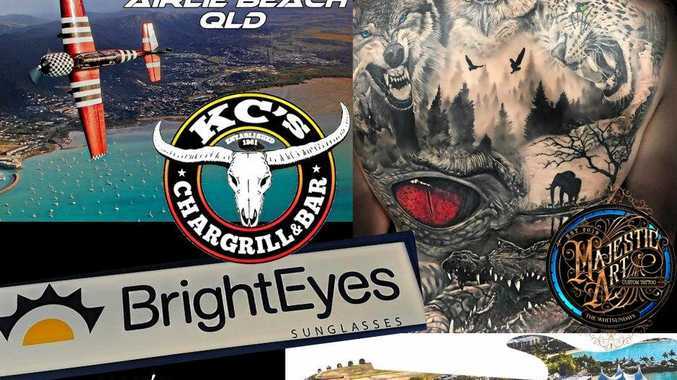 Knights mail: Jacob Saifiti (shoulder) is out which opens the door for Jamie Buhrer. Brock Lamb (fractured cheekbone) is out with Jack Cogger recalled to the side. Sharks mail: Luke Lewis (calf) and Wade Graham (hamstring) both return from injury. 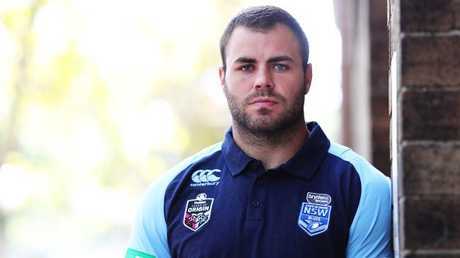 Wade Graham is back for the Sharks. Tigers mail: Josh Reynolds is poised to return from his shoulder injury from the bench. Tui Lolohea is at fullback and Mahe Fonua centre, with Corey Thompson moving to wing in place of Malakai Watene-Zelezniak. Bulldogs mail: Josh Morris (knee) is out with John Olive replacing him.